Since 2007, the Pipeline Program has served as a mentorship and health sciences education program linking students from South Atlanta High School of Health and Medical Sciences with undergraduate mentors and graduate student teachers from Emory. Yolanda S. Hood, PhD, associate director of medical education and diversity outreach in the School of Medicine. Hood is the director of the EPiC program and co-principal investigator of the grant. 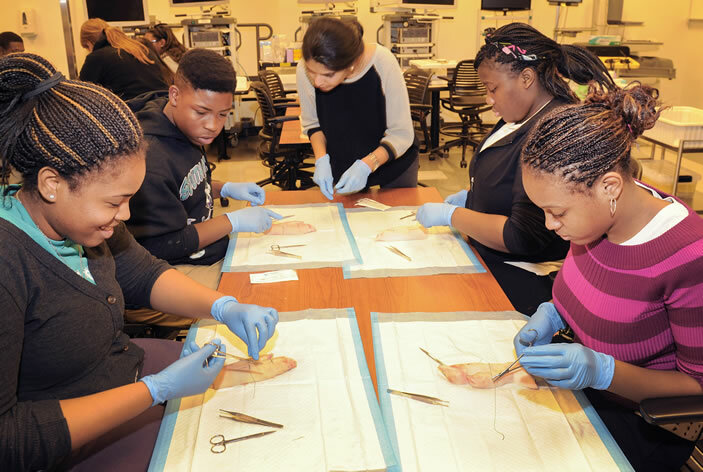 EPiC aims to prepare students from five Atlanta high schools for entry into health professions by increasing academic achievement, improving college readiness, strengthening social support, and broadening student awareness of pathways to health professions. "Nationally, there is a lack of minority and low socio-economic applicants applying to health sciences degree programs," says Robert Lee, PhD, associate dean and director of multicultural medical student affairs at Emory University School of Medicine. Emory University School of Medicine (SOM), in collaboration with Emory College of Arts & Sciences, Atlanta Public Schools (APS), and Atlanta Area Health Education Center, has received a three-year, $1.8 million grant from the U.S. Department of Health and Human Services (HHS) to educate and expose high school students from economically disadvantaged backgrounds to career opportunities in health professions. 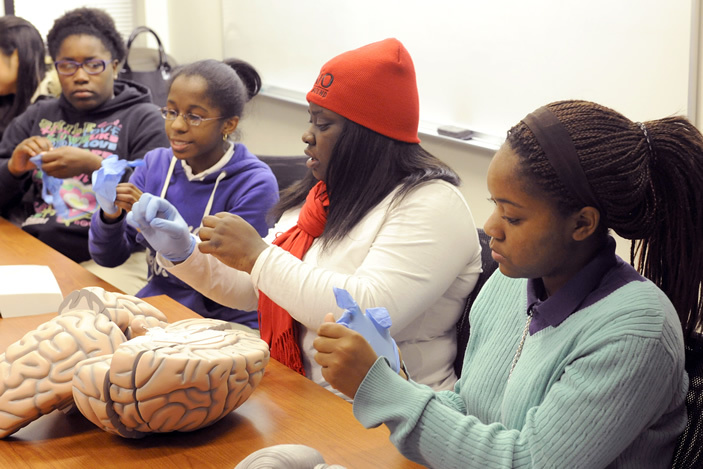 The new initiative, Emory Pipeline Collaborative (EPiC), aims to prepare students from five Atlanta high schools for entry into health professions by increasing academic achievement, improving college readiness, strengthening social support, and broadening student awareness of pathways to health professions. "Funding opportunities, such as this one, are vital because they support our ongoing efforts to address the educational barriers and social support needs of high school students and increase their exposure and access to health sciences at a pivotal time in their lives." and Emory Summer Science Academy. The Pipeline Program will become the EPiC Academic Year Experience and the Emory PREP and Emory Summer Science Academy will serve as the EPiC Summer Experience and include residential summer opportunities for the students and stipend awards. 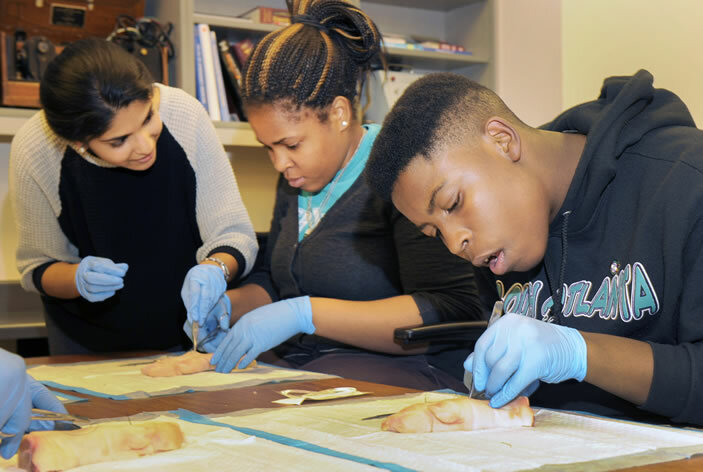 Since 2007, the Pipeline Program has served as a mentorship and health sciences education program linking high school students from South Atlanta High School of Health and Medical Sciences with undergraduate mentors and graduate student teachers from Emory. EPiC funds will be used to expand Pipeline beyond South Atlanta High to four additional APS schools including Booker T. Washington, Maynard Holbrook Jackson, The New Schools at Carver, and Frederick Douglass High schools. 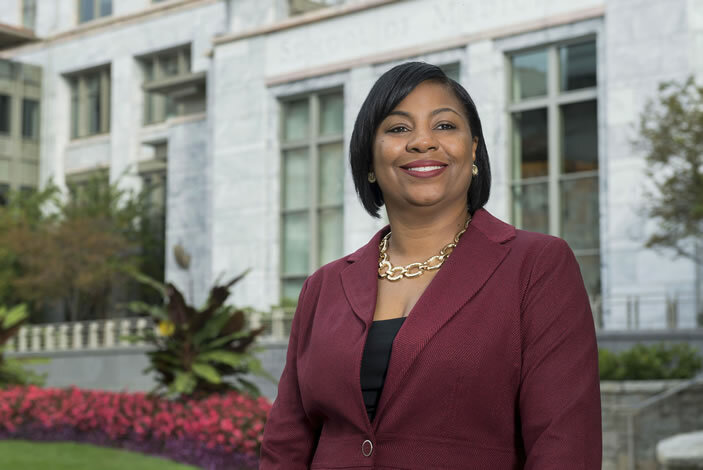 "Over the years, Pipeline has successfully impacted the lives of many Atlanta youths as a result of the leadership, dedication and commitment of our outstanding Emory medical, undergraduate and graduate students," says Yolanda S. Hood, PhD, associate director of medical education and diversity outreach in the School of Medicine. "We are thrilled that the EPiC funding will allow us to broaden our reach and offer exciting new resources to expand and sustain the program." Hood is the director of the EPiC program and co-principal investigator of the grant. EPiC will provide innovative programs and activities to the students including simulated clinical experiences through Emory SOM’s Center for Experiential Learning, as well as access to cutting edge technological tools used throughout the program. EPiC is a Heath Careers Opportunity (HCOP) grant awarded by HHS that aims to increase the diversity of the health care workforce through the recruitment and training of individuals, including non-traditional students and veterans, from educationally or economically disadvantaged backgrounds. The EPiC student leadership team includes: Meera Shah, president; Colin Washington, logistics VP; Osric Forrest, mentorship VP; Chris Keith and Lia Phillips, sophomore curriculum coordinators (CC); Derek Novacek and Gordon Robbins, junior CCs; Iris Martin and Rebecca Hollenbach, senior CCs; Darby Ford, evaluation chair; Chrissy Grech, Undergraduate Executive Program coordinator; Helen Li, treasurer; Kimi Chan, Matt Smoot and Namratha Kolur, Undergraduate Program coordinators; Phi Trac, technology chair; and Annabelle Zhuno, public relations.